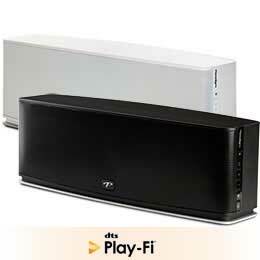 Wireless streaming products featuring reference-level performance that combines our innovative loudspeaker and amplifier engineering with state-of-the-art DTS Play-Fi® wireless streaming technology. 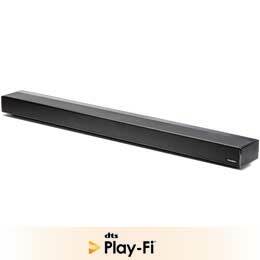 Powered Home Theater Soundbar with HDMI, Bluetooth + Wi-Fi Music Streaming for Whole Home Audio. Features three HDMI 2.0a inputs with HDCP 2.2 and full support for 4K/60 and HDR. Nine amplifiers with 270W Dynamic Peak; 135W RMS. 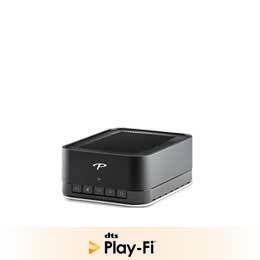 Wireless music streaming with Apple® AirPlay®, DTS® Play-Fi®, or Bluetooth. Three HDMI 2.0a inputs with HDCP 2.2 and full support for 4K/60 playback and HDR (High Dynamic Range), as well as one HDMI output with Audio Return Channel capabilities. Dual 1" S-PAL™ tweeters (stereo), ferro-fluid damped / cooled, with extended pistonic range. Dual 5" S-PAL™ bass/midrange driver with high-excursion foam-rubber elastomer surrounds, 1" high-temp voice coil. Anthem® Class-D Amp; 460W Dynamic Peak; 230W RMS Anthem Room Correction - ARC™, with included calibrated digital microphone. 5" S-PAL™ bass/midrange driver with high-excursion foam-rubber elastomer surrounds, 1" high-temp voice coil. Anthem® Class-D Amp; 400W Dynamic Peak; 200W RMS Anthem Room Correction - ARC™, with included calibrated digital microphone. 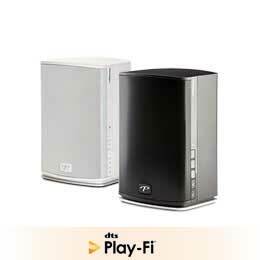 Stream lossless audio wirelessly over standard wireless networks to any existing amplifier/speaker system.